Ever wonder what makes a registered dietitian’s world go round? Here are five things I can’t get enough of lately. Yes, I am fresh off watching Fed Up and reading Year of No Sugar. But the fact remains- Americans are eating much more than the 6-9 teaspoons/day (women vs. men) recommended by the American Heart Association. 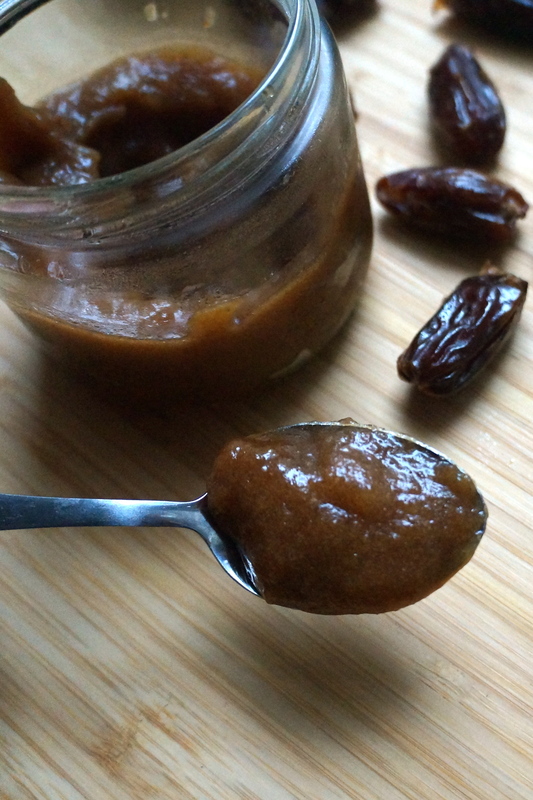 I have blogged about date paste before, but basically you just soak dates overnight, then blend them with a bit of the soaking water to create a honey-like liquid sweetener that is full of fiber, vitamins, and minerals. I like to stir it into my morning oatmeal instead of brown sugar, but you can also substitute it for some of the refined sugar in baked goods. I recently had the opportunity to sample the winning recipe of America’s Better Sandwich Contest. The prizewinning dish, “Fast ‘N’ Fresh Curried Chicken Salad Sandwich,” is a light, yet flavorful take on traditional chicken salad, subbing Greek yogurt for mayo, and adding curry and golden raisins. This sweet, punchy mixture is then layered between two slices of Oroweat 100% whole grain bread, along with fresh spinach and thinly sliced apples. SO. GOOD. In fact, I may or may not have tracked down an empty tupperware so that I could stuff it with an obnoxious amount of curried chicken salad to take back to my office. I might have also swiped a leftover loaf of 100% whole grain bread. Let’s just say that my lunches were good this week. I first tried sparkling water in college. My initial reaction was something along the lines of “Ewww, something is really wrong with this Sprite!” Flash forward a few years. At my new job, the water dispenser has sparkling water, so I’ve given this calorie-free bubbly beverage another try. And I’m hooked. Looking for a way to add some pep to your hydration routine, and help aid digestion? Look no further! When someone asks for my recommendation on the healthiest snack bars, it takes an awful lot of willpower not to roll my eyes and say “Why are you eating bars? 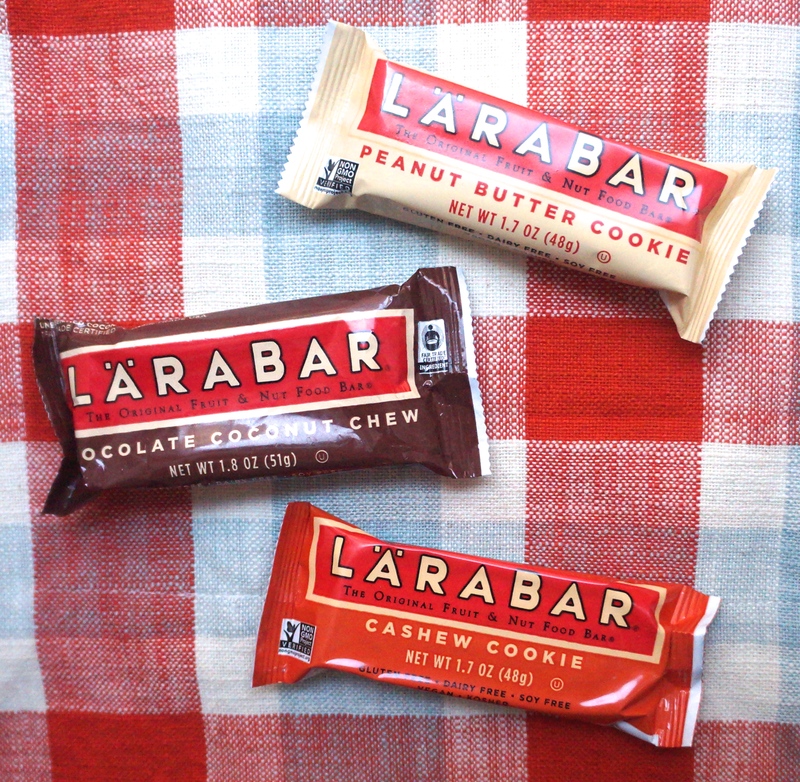 Why aren’t you snacking on real food, like fruit or nuts?” But I’ve got to give it to Larabar– they kind of are real food. In fact, they’re made with mostly (you guessed it!) fruit and nuts, and have no added oil or sugar (except in the flavors with chocolate chips). For example, the ingredients list for the peanut butter cookie bar, pictured above, reads “peanuts, dates, sea salt.” Talk about #dietitianapproved! For now, the flavors pictured above are my favorite. But I’m dying to try the new holiday flavors, such as snickerdoodle, pumpkin pie, and gingerbread. After a long discussion about how to pull off red lipstick, a friend introduced me to Burt’s Bees Lip Shimmers ($5). While the name suggests otherwise, not all shades are shimmery. In fact, some are downright classy. They feel just like chapstick, but offer the pop of color that you expect from a lipstick. I love that the peppermint oil leaves your lips feeling cool and minty, but I especially love that the ingredients are simple and natural. My favorite shades are raisin, cherry, and apricot. 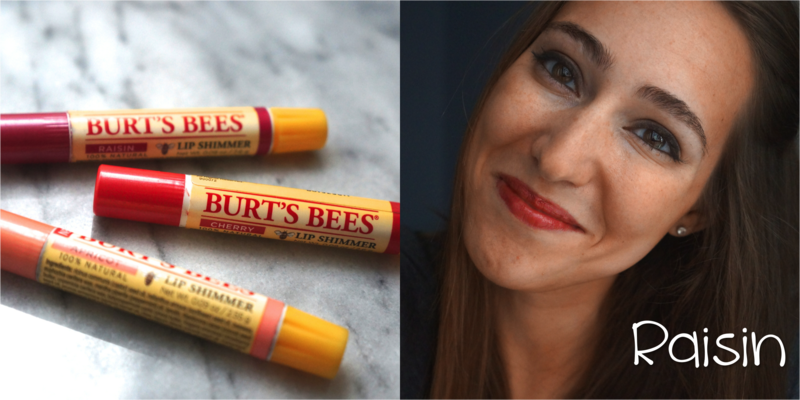 Burt’s Bees also makes a Tinted Lip Balm ($7) that I’m dying to try. As a kid, I always avoided pasta salad at potlucks and parties. Too vinegary for my taste, and undoubtedly loaded with child-repelling olives. 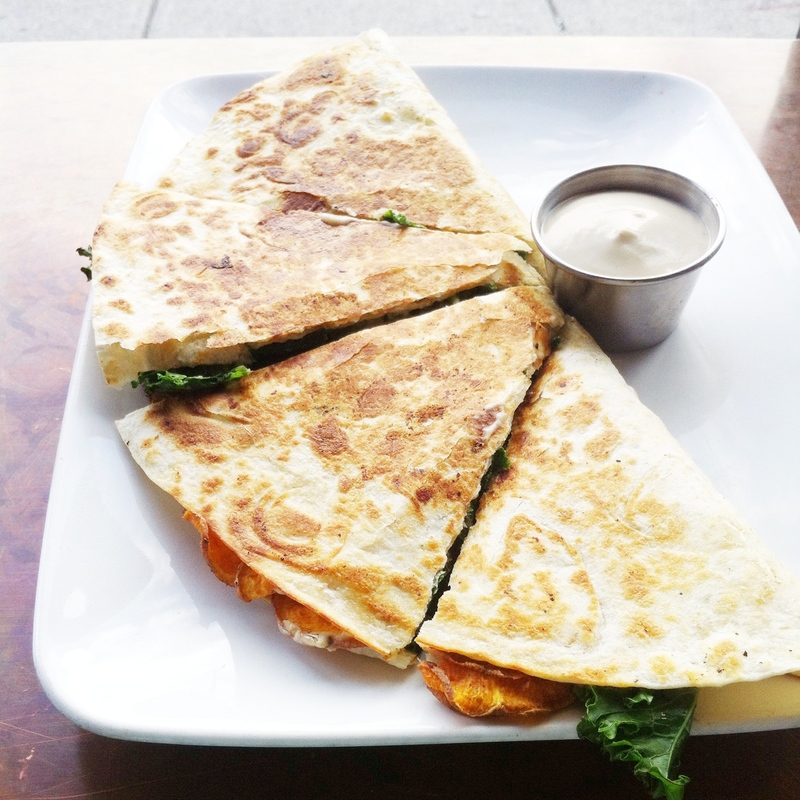 But then in college I got hooked on pasta primavera, the gateway pasta, and before you know it, I was whipping up portable penne salads in my own home. When packing my lunch for work, I like to choose meals that don’t require too much assembly in the crowded office kitchen. But they still have to be tasty enough for me to look forward to eating, filling enough to last me till dinner, and healthy enough for me to feel nourished and happy with my choice. 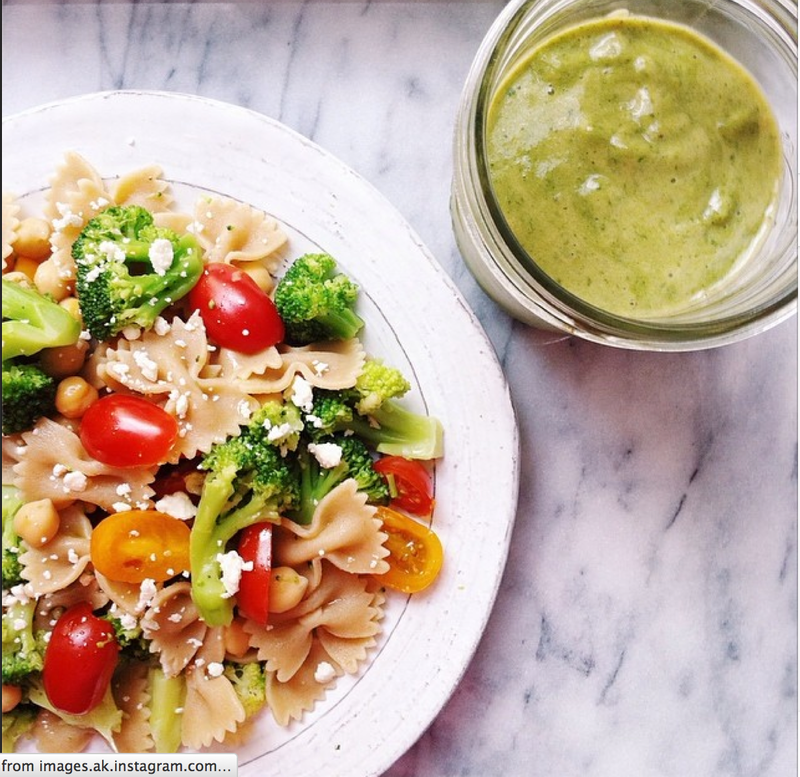 Pasta salad fits the bill. It also makes great picnic food, which I verified this weekend at the Arnold Arboretum while soaking up the unseasonably warm weather. This makes a great pantry clean out recipe (read: inexpensive), because like most salads, it’s super adaptable. 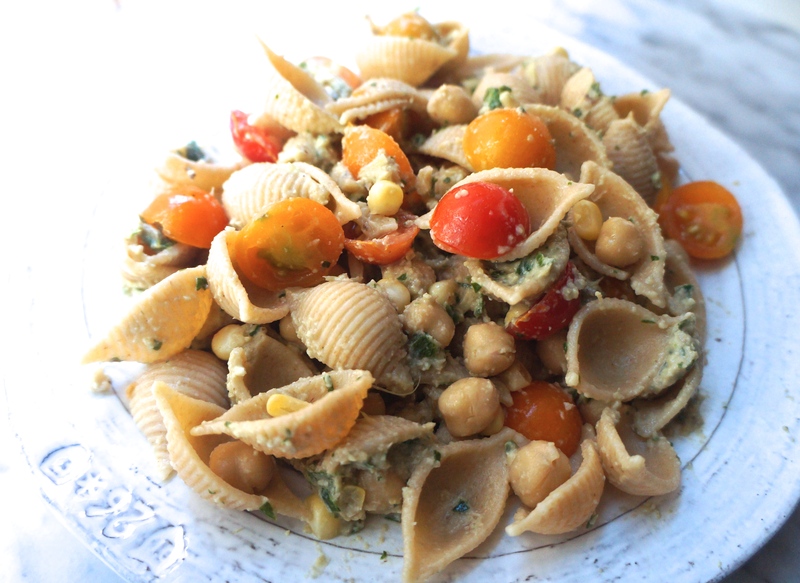 I start with whole grain pasta (any shape will do, but the whole grains are mandatory), and then add whatever vegetables I have on hand (cherry tomatoes are a favorite when they’re in season). For protein, I like to toss in canned chickpeas, also called garbanzo beans. (Chickpeas and pasta are a highly underrated combination, as I learned from a college classmate who would sprinkle them onto spaghetti like little meatballs.) Lastly, I finish with olive oil or pesto, and sprinkle with cheese or fresh herbs if I have them on hand. Easy peasy. The more vegetables you can add in, the healthier it will be. Looking for ideas? See below for two pasta salads that I’ve made recently. 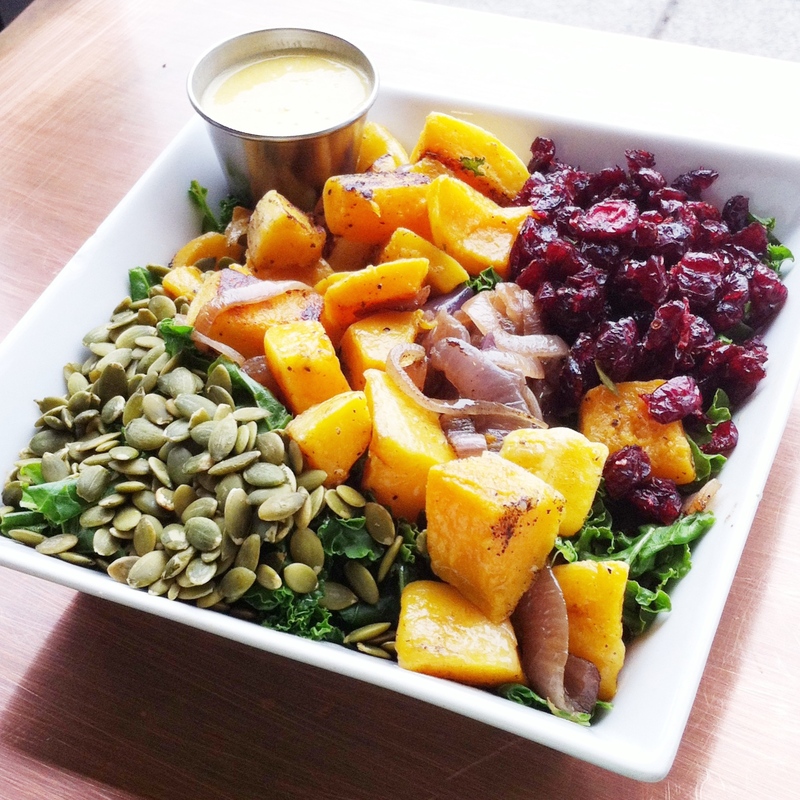 Next up, I’d love to try a pasta salad with butternut squash, cannellini beans, and kale pesto. What are your favorite add-ins? Share in the comments!